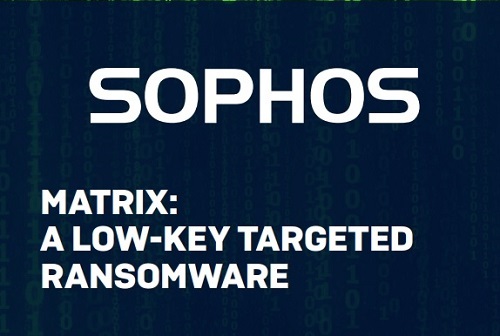 Sophos released a new report about a ransomware family called Matrix. 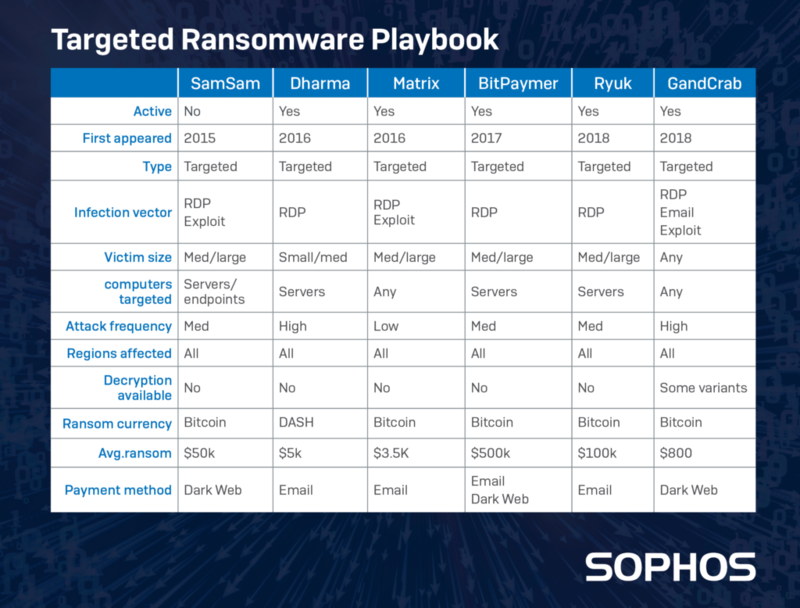 The malware has been operating since 2016 and Sophos has tracked 96 samples in the wild. Like previous targeted ransomware, including BitPaymer, Dharma and SamSam, the attackers who are infecting computers with Matrix have been breaking in to enterprise networks and infecting those computers over Remote Desktop Protocol (RDP), a built-in remote access tool for Windows computers. However, unlike these other ransomware families, Matrix only targets a single machine on the network, rather than spreading widely through an organization. is unusual as demands for cryptocurrency normally come as a specific value in cryptocurrency, not the dollar equivalent. It’s unclear whether the ransom demand is a deliberate attempt at misdirection, or just an attempt to surf wildly fluctuating cryptocurrency exchange rates. Based on the communications SophosLabs had with the attackers, ransom demands were for US$2,500, but the attackers eventually reduced the ransom when researchers stopped responding to demands.